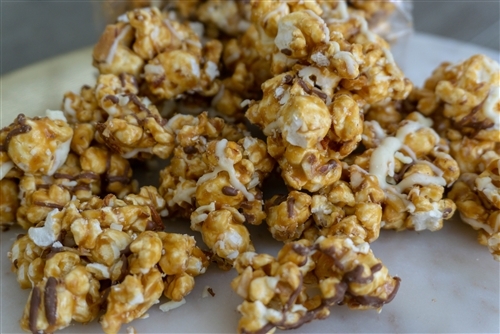 Our old fashioned caramel corn is drizzled in chocolate and tossed with salted almonds. It's crunchy, salty, sweet - to the max! 10oz.